We hope you’ll join us for our next tour. On our tours, you’ll visit places like Caesarea and see the theatre built by King Herod. Visit Mount Carmel where Elijah called down fire. Enjoy a boat ride on the Sea of Galilee. Visit Capernaum and the Mount of Beatitudes. Be baptized in the Jordan River. Float in the Dead Sea. 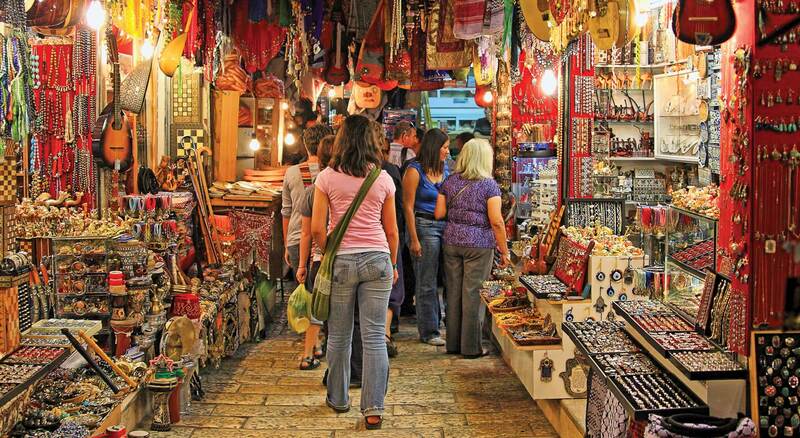 Experience the Holy City of Jerusalem. Walk under the modern city on the ancient roads in the Western Wall Tunnels. During our tours you’ll also get the chance to visit a ministry or two that First Century Foundations supports! You won’t want to miss these special tours of a lifetime! To learn more about our tours, please continue scrolling below for more details. Below is a sample of our most recent itinerary. Please stay tuned for our next trip. Overnight on route to Israel. Departure at 5pm. Land at 9:15am. Clear immigration. Depart for Caesarea, King Herod’s seaside city, Mt. Carmel & Akko. Begin day sailing on Sea of Galilee from Tiberias to Nof Ginosar. Mt. of Beatitudes, Tabgha, Capernaum, Chorazin. Yardenit & baptism ceremony. End the day at Tamar Ba’Kfar. 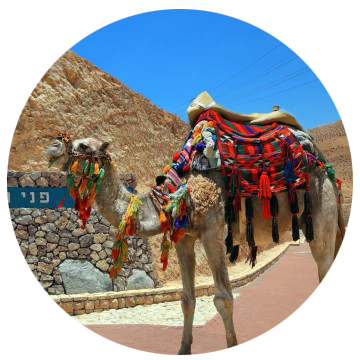 Check out and depart the Galilee to the shores of the Dead Sea. Leisure time to float, etc. Ascend to Jerusalem. Time permitting, stop at the Good Samaritan Museum. End the day at the Mt of Olives, walk down Palm Sunday route to Garden of Gethsemane & Church of All Nations. Morning visit to Shepherds Field in Bethlehem then visit Lifegate Rehabilitation Centre for tour, lunch and shopping. Return to Jerusalem stopping at the Room of the Last Supper. Enter the Old City stopping first at the Southern Wall Excavations, Western Wall and walking the narrow roads viewing sites along the Via Dolorosa and to the outside only at the Church of Holy Sepulchre. Exit the old city and end your day at the Garden Tomb for communion and time for personal prayer. This morning spend time at Yad Vashem, Israel’s Holocaust Memorial. 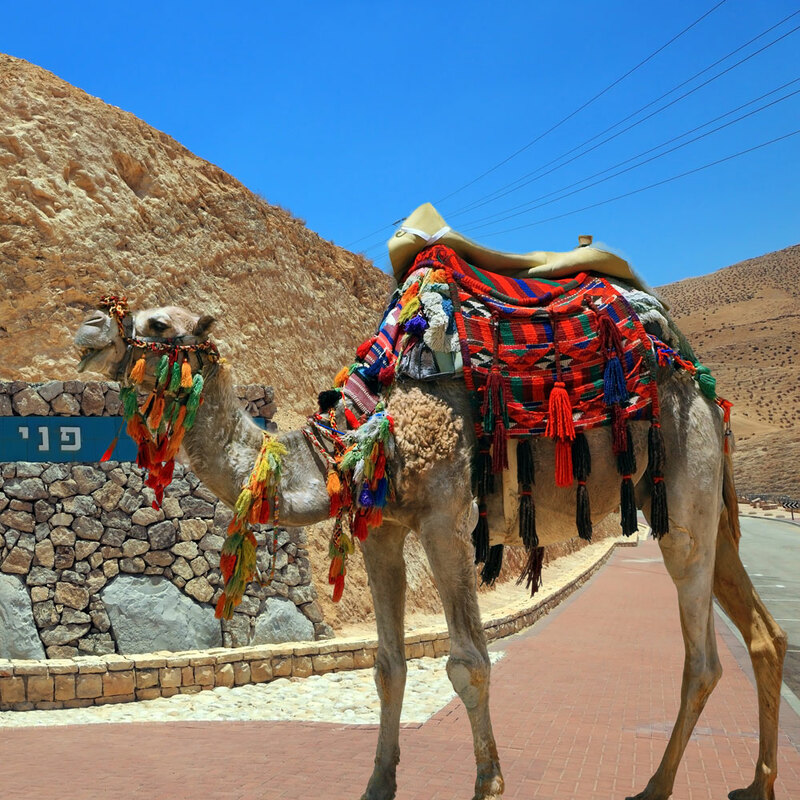 Depart for Neot Kedumim Biblical Park for a wonderful experience of life living off the land during Biblical times. Shalom to Jerusalem and drive to Ben Gurion Airport for security and check in procedures. Flight to Thessaloniki via Athens. Arrival and start with a short tour of the city of Thessaloniki. Continue our day with a drive to Veria where you will see the church of Apostle Paul and the “Vima of Apostle Paul” mural made of marble. This church is believed to be the location in which Paul preached to the people for many days after leaving Thessaloniki. Continue to the ancient town of Vergina and to the royal tombs, one of them being the tomb of Alexander the Great’s father. Transfer to your hotel for dinner. Drive to Kavala and then to Philippi. Kavala was the port of Philippi. Paul passed through with Silas on his way from Asia Minor to Philippi. The city was visited by the Apostle Paul. From the Acts of the Apostles and the letter to the Philippians, early Christians concluded that Paul had founded their community. We will explore the ruins of the ancient sites such as the forum, market, basilica and theatre. In Philippi, Paul preached his first evangelical sermon and baptized the first Christians in Europe. You will see both the “baptismal” site where Lydia was baptized as the first European woman and the crypt where Paul was imprisoned. To end the day, we will return to Thessaloniki to enjoy an evening meal before returning to our hotel rooms for the night. Drive to Meteora, and visit the breathtaking rock tower monasteries of the 11th century! Among other monasteries are the Great Meteoron Monastery of Varlaam, founded in the 16th century and is located on top of a 1,224-foot cliff! At the Monastery of Saint Stephen, also built on the cliffs of Meteora, admire a small treasure trove of Byzantine and Christian items at a museum located within the wall of the monastery. Morning tour visiting Delphi, the hometown of the famous oracle. In antiquity, Delphi was one of the most important religious centers. The city was built above the gorge of the Pleistos River against the backdrop of Mount Parnassus, attracting hordes of pilgrims who once came to consult the oracle of Delphi. The tour through Delphi includes the agora, or marketplace, the first stop along the Sacred Way, the main road that winds through the lavish complex of ancient ruins at Delphi. Along this path, view the remains of the “treasuries” of the Athenians, a bouleterion, the Tripod of Plataea, the Temple of Apollo, a stadium and the museum—all structures still standing from the time of the Romans. Continue to Athens for dinner. Start the day with a fresh Greek breakfast drive to ancient Corinth, one of Paul’s most beloved cities, the town that inspired two of Paul’s letters. Continue to follow in his steps, at Paul’s BEMA, wander the nearby market and walk on the same paths that the apostle to the gentiles once walked, preaching the gospel nearly two thousand years ago. Stop at the Corinth Canal returning to Athens following in the steps of the Apostle Paul. Travel along the Coast of Faliro where Paul first arrived in Athens by ship, continuing on to the Acropolis and the “Areopagus” where Paul stood and preached to the Athenians. The final stop will be at the Acropolis Museum. In the evening enjoy dinner at an amazing tavern including live bozuki music and Greek cultural life at Plaka. A day for you to explore Athens on own. You may watch the great Military parade this morning right on Syntagma Square and stroll around old town Plaka where most shops are open and all tavernas serving Greek specialties! In the evening, enjoy a farewell dinner at a local tavern before turning in to the hotel for early sleep as wake-up call will be around 2am! Early morning transfer to the airport for check in and flights home via Munich. Touchdown in Toronto at 3:45pm. * Single Occupancy is available at an additional cost of $1,275. This tour is operated by Go Israel Travel. Secure your spot with a deposit of $500 (non-refundable). Click to download our TOUR BROCHURE. *Any increase in US/CA exchange rates of more than 3% will require revision of the land tour cost added to each invoice. • Please include the appropriate payment with your registration. • Additional cost for single supplement, add on air, extensions, etc. & quoted on an individual basis. • Rates valid as of May 14th, 2018 and are subject to change. • We offer coverage but you are free to arrange your own travel insurance. • If you have medical coverage with your company or individually, cancellation & interruption only is necessary. TRAVEL DOCUMENTS: Canadian passports must be valid for a minimum of 6 months from the conclusion of their journey. Visa for Israel not required by Canadian passport holders. Go Israel Travel requires a photocopy of each passport for their protection regarding correct names on tickets and to provide to Israeli security. If you have a non-Canadian passport, it is your responsibility to inquire at the Israeli Consulate if a Visa is required. RESERVATIONS & DEPOSIT: Early reservations are recommended. A minimum deposit of $500.00 per person is required at time of booking to confirm your request for participation. Full and final payment is required no later than 60 days before departure. * Plus any non recoverable payments made to land operator or airline[s]. No refund will be made for any accommodation, tour service or tour feature that the passenger does not utilize. Cancellation penalties for air is subject to individual airline Terms and Conditions. Once airline tickets are issued, name/date changes of ticket are subject to a $300.00 per person penalty or higher as determined by the carrier. All cancellation requests will be required in writing and refunds are processed in due course. TRAVEL INSURANCE: To protect yourself against cancellation charges, we highly recommend that you purchase adequate travel insurance, which must be purchased with deposit. If you have credit card coverage, it is important to confirm that they cover cancellation penalties. ACCOMMODATIONS: Per itinerary or best available. All hotel taxes, service charges and government taxes are included in the price. Accommodation is based on 2 persons sharing a twin or double room. Single room supplements apply to all persons requesting a room for single occupancy. Requests for upgrading rooms are subject to additional charges. Where available handicapped or non smoking rooms are always on a request basis but not subject to additional costs. The right is reserved by the supplier to substitute hotels when necessary from those listed in the brochure or final mission documents for reasons of our/their own high standards, for client comfort and for reasons beyond our/their control. IMPORTANT NOTICE: Go Israel Travel and its suppliers reserve the right to accept or decline any participant should it be determined that the participant’s health, mental, emotional condition or physical needs impedes with the smooth operation of the mission or the rights, welfare or enjoyment of the other participants. The refund of the unused services is limited to Go Israel Travel liability when these rights are exercised. Participants with mobility concerns must be accompanied at their own cost by their own companion. Leaders and guides cannot be responsible for assisting with walkers or wheelchairs. PRICES LISTED: Cost of the tour includes planning, communication, handling and operational charges and are quoted at the current rate of exchange and tariffs as of May 14, 2018. In the event of a increase of more than 7% in airfares and foreign exchange or tariff rates, costs are subject to revision. 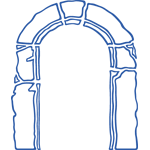 RESPONSIBILITY: Go Israel Travel purchases transportation, hotel rooms, restaurant and other services from various suppliers who are not affiliated with Go Israel Travel in any way. All vouchers, coupons or receipts issued by Go Israel Travel are issued subject to all tariffs, terms and conditions under which all transportation, including airlines, coach, limousine companies, hotels, tour and cruise operators restaurants and other service are contracted. Participants agree not to hold Go Israel Travel responsible for any loss, injury or damage to any person, property or otherwise in connection with any accommodation, transportation or resulting from any Acts of God, dangers, incident at sea, fire, breakdowns in machinery or equipment, act of governments or authorities, de jure or de facto, wars declared or not, hostilities, civil disturbances, strikes, riots, thefts, pilferage, epidemics, quarantines, medical or customs regulations, defaults, delays, cancellations or any causes beyond Go Israel Travel control for any loss or damage resulting from improperly issued visas or other documents, and that Go Israel Travel or its staff will not be responsible for any additional expenses or liability sustained for or incurred by the mission participant as a result of any of the forgoing clauses. The payment for a reservation on a customized itinerary shall constitute consent to all provisions in the terms and conditions published herein. AIRLINE CLAUSE: The airline[s] is not to be held responsible for any act, omission or event during the time passengers are not on board their aircraft. The passenger tickets in use by the airline, when issued, shall constitute the sole contract between the airline and the passenger. All airfares and conditions thereof are those in effect as of May 14, 2018 and are subject to change. OTHER FEES: A convenience fee of 3% will apply to Visa or MasterCard purchases. A. Please make sure to arrive 3 hours before departure. When you get to the ticketing area, please make sure to introduce yourself to your tour leader (Jeff Futers) and to get checked in with him before going through the ticketing line. You will be given a name tag which will let the security team know you are traveling with our group (and help keep the group together). He will also give you any further instructions needed before you go through to the gate of departure. A. Let’s say you have air miles and want to use them to pay for the flight portion of your trip or let’s say you want to fly in a day or two ahead of the group and you want to arrange your own flight to Israel. You can purchase a land-only package from the tour company and join us for the hotels, meals and sites. It includes everything a normal tour package does…just without the flight. A. Find out from the tour operator the first night’s hotel. You can join us for dinner at the hotel at 7 pm and then for the orientation meeting after dinner. A. It is optional but recommended especially if you want to be baptized. There will be opportunities for you to swim at the different hotels. There will also be a time to swim in the Dead Sea and to be baptized in the Jordan River. A. Yes. We will be at a Shabbat dinner and it is traditional to dress up a bit for that evening. Q. Are there a minimum age requirement? A. To avoid any disruptions or distractions to the other guests traveling on the tour, our policy is that your child(ren) should be in Grade 9 or above to join our tour. That said, you know the maturity of your child(ren) and what they would be able to manage. A. In short, no. All we ask is that you be mobile as many of the sites cannot accommodate items like walkers or wheelchairs. A. Our bus driver is very friendly. He owns the bus so we always want to be respectful of his property. Our bus driver has purchased Wi-Fi for the bus so that you can Facebook, Tweet and Instagram all the pictures you just took at that amazing site you just visited! There is air-conditioning and comfortable seating with overhead storage for your bags. There is no assigned seating and we encourage you to switch up your seat everyday. A. No bus in Israel is permitted to have washroom facilities on board. We will make rest-stops if our journeys are going to be extended. A. First Century Foundations has brought several groups to Israel including members of our own families and it has always been safe. If there is any area of conflict, we always avoid it completely. Our tour guides are highly trained and know the areas to avoid if any conflict arises in Israel. A. As your body may be adapting to a new and different climate and water system or if you tend to have a sensitive stomach, it is not required but it is recommended that you bring Imodium (loperamide hydrochloride). It may also be helpful to bring items such as Advil (ibuprofen) or Tylenol (acetaminophen) and Gravol (dimenhydrinate). If you have a medical condition and are on medication for it, please remember to bring it with you. Also, if you have a medical condition, please make us aware of it during the orientation meeting at the beginning of the trip. A. That depends on your electronic item. The voltage in Israel is 220 V. Check your device (usually the information is listed on the plug itself)—it should say something like: Input: AC 100V – 240V. If your device is within the 100 to 240 volts range, then you can simply purchase a plug adaptor at your local dollar store as the plug/outlet system in Israel is different from North America. If you need a voltage converter you can purchase them for a cost of about $15 to $25 at most retail stores. • HAIR DRYERS – We recommend you don’t bring your own hair dryer. Several ladies have burned out their hair dryers because the voltage in Israeli hotel bathrooms isn’t compatible with North American hair dryers. The voltage is set mainly for shavers. If you do bring your hair dryer along with an adaptor, please remember to plug it into an outlet that is not in the bathroom to avoid frying your hair dryer. Most hotels have hair dryers and if you don’t see one you can ask at the front desk for one. • FACE CLOTHS – if you prefer to wash up with a face cloth, you will need to bring your own as most hotels do not have them. • PACKING LIST – Download and print off our PDF Packing List. Use it as a guide when you’re packing for your trip with us! Don’t see a question you have answered here? Contact Miki Friendly at Go Israel Travel – 416-840-0855 or 1-877-840-0855 – ext. 222. Have more Questions about the tour? Contact our office today to find out more or to request a FREE brochure! Want to Book a Spot on one of our Tours?